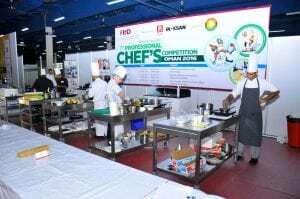 Muscat, Oman – Pioneer and biggest exhibitions and conferences organizer Omanexpo has announced that the 12th edition of Food & Hospitality Oman will be held at the new Oman Convention and Exhibition Centre (OCEC) from 16 to 18 October. Food & Hospitality Oman will showcase a wide spectrum of cutting-edge food and beverage technologies and services catering to the food and hospitality sector, hosting over 500 local and international brands looking to tap into the country’s growing food and hospitality markets; generate better business leads; forge business tie-ups and learn more about the industry’s developments and its current and forthcoming trends. “The high turnout of international and local suppliers and potential buyers in last year’s edition demonstrated the enormous potential of the food and hospitality exhibition. With the same high-quality standards and higher investments, along with well-thought out strategies to promote the food event globally, thus year’s event will certainly be a bigger platform that will help shape the future of the industry,” Ahmad adds. 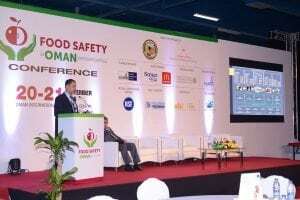 Alongside the food and hospitality exhibition is the Food Safety Oman Conference, which after its inaugural success last year, has incited interest among the food safety experts, policy makers and industry stakeholders. It will, once again, bring in experts from food and beverage (F&B) manufacturers, importers, producers, retailers, catering and restaurant service providers, packaging and processing technology providers, vendors and government representatives and other food safety professionals to discuss the latest policies, regulations, innovative approaches and technological advancements relating to food safety and quality in the Sultanate.